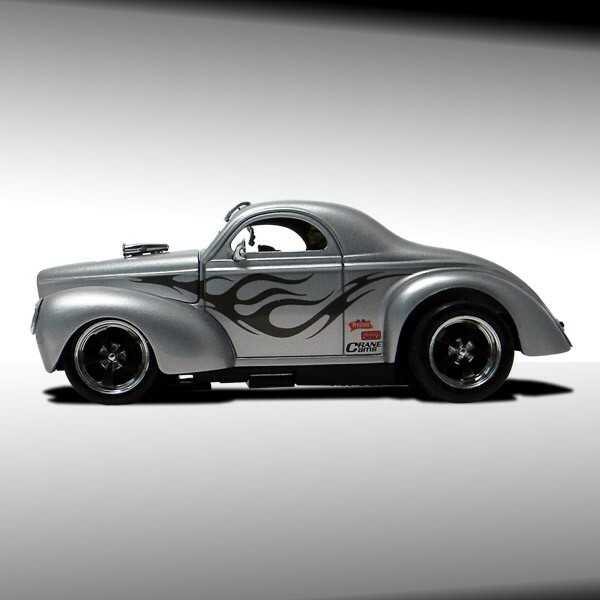 1/32 Scale Slot Car Tire Designed Specifically for Carrera Evolution 1941 Willys Gasser and 1932 Ford Hot Rod Chassis - Rears. Sold as a Pair. 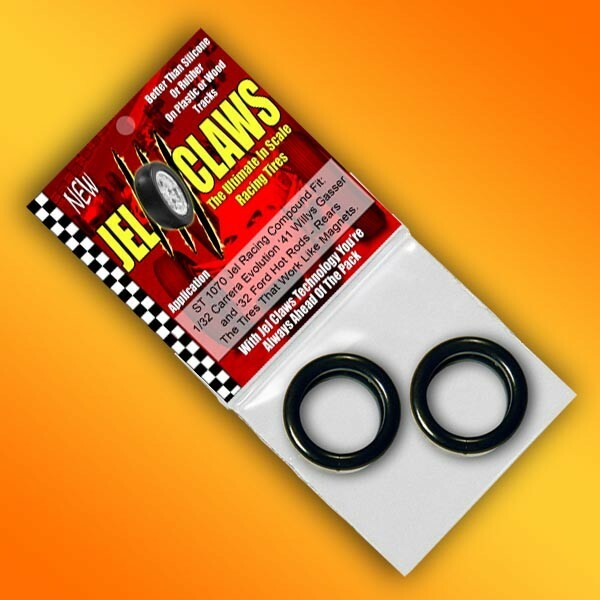 Jel Claws tires are made from high quality synthetic rubber - not silicone, or cheap urethane. Jel Claws tires really grip the track, like a magnet! 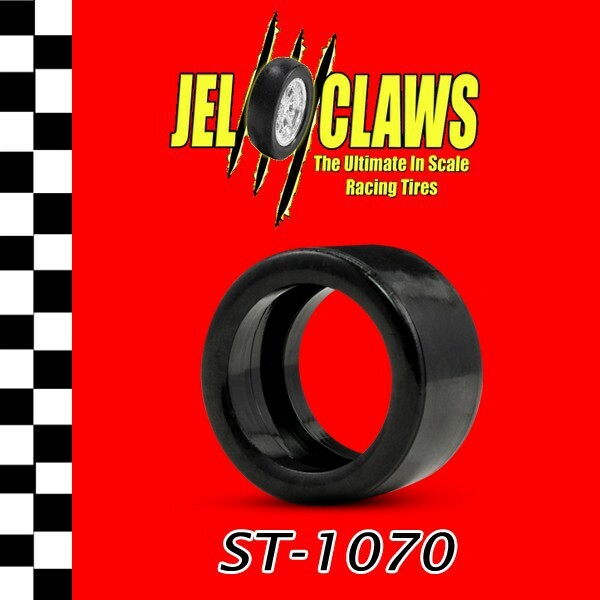 Jel Claws tires are not made out of silicone or urethane. They are manufactured from a special, proprietary formulation of synthetic rubber. The result is a tire that really grips the track - and won't let go! Our special Jel compound will absorb track vibration, and has enough grip to help each racer achieve lower lap times. Every Jel Claws tire is first developed with a computer aided design (CAD), while the high pressure injection molds are made using computer guided machine tooling (CNC) for extreme precision. Jel Claws tires are made with a single focus... the highest degree of quality! As you will see, Jel Claws tires are strong and durable. The Jel compound won't tear or rip when stretching onto an oversized rim. As a result, Jel Claws tires may easily fit many applications they were not originally designed for.